After Anita and I were married on May 31, 1964 we drove away while all our parents and siblings standing there waving at us. We drove a mile or so and I realized that I did not ask for our marriage certificate. I thought that might be important, so we turned around and went back for it. The minister who married us was a Dean at the college, and the son of the dorm mother who was responsible for our getting together. I told her that if the marriage did not work out I would know whom to blame. She said she was not worried. She was a very sweet lady. So her son signed the marriage certificate, and we were off to Niagara Falls. I had seen the falls previously, but Anita hadn't. It is one of my favorite places. We loved it there, and our honeymoon was great !!! I cannot remember anything we did there except see the falls. That summer I was scheduled to teach for the third time at Roanoke College. That gave Anita a chance to really get to know my parents, my sister and other relatives. They all loved Anita! When the summer session ended we drove back to Bridgewater, and I started my second year of fulltime teaching. We were living upstairs in a three room apartment that had no air conditioning. It was miserable until the cooler weather arrived. The teaching that year was fair, I still was not sure I wanted to make teaching my permanent profession. Anita fit in very well with the faculty wives at functions she attended. Some of the wives had been her teachers and it seemed strange to her being a member of the faculty wives group. That was my last year at Bridgewater since I lacked the PhD that was needed for tenure status. In the the years that followed I taught three years at Wingate College in NC, and our first child, David, was born on Sept. 21, 1966. I wanted a son because I was the only male child with my last name who could continue my branch of my family tree. We were so happy, and everything was perfect. We left Wingate in 1968 and moved to Richmond, VA. I taught two years at Virginia Commonwealth University. 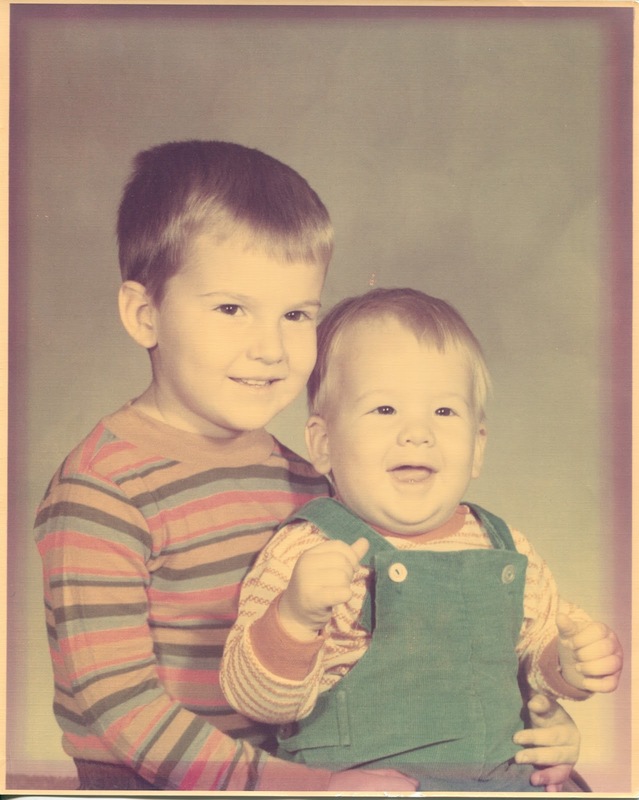 My second son, Gary, was born in Richmond on Sept. 9, 1969. I left VCU after two years because of my not having a PhD. My uncle in Roanoke called me a gypsy math professor. It was time to find a place where I could get tenure and stop all the moving around. I looked high and low. All college teaching positions available required a PhD. Even the community colleges in Virginia required a PhD for tenure. Time was running out when I discovered that the community colleges of New York required only an MS degree. There was a job opening at Ulster County Community College near Kingston, NY. I got the job and we moved to Kingston, NY in August of 1970. Kingston is a small city of about 30,000 people, and it was the first capitol city of NY state. It was burned during the Revolutionary War but, was rebuilt in later years. The present day capitol is Albany, Ny and is located 50 miles north of Kingston. Kingston is a very historic city. Reenactments of the burning of Kingston have been held in the fall, and people came from all over to watch the spectacle. People dressed in colonial garb carrying old muskets, and the British storming the mock village in their bright red coats made an interesting display. We were very hesitant about moving to New York. I had always heard southerners say the people were unfriendly, and we would not like it there. Nothing could be further from the truth. People in Ulster county and the surrounding regions are very friendly, and wonderful. We have always had good neighbors during the 45 years we have lived here. I loved teaching at the community college. I made many wonderful friends there. My students would sometimes laugh at my southern accent, but I eventually lost most of that accent through the years. I will always have an accent though. There is an old saying : "You can take an ole boy outta the south, but you can't take the south outta the boy". I had some rough times with hypos while teaching in NY. I was using Humulin N & R insulins and NPH insulin later on, and I had more low blood sugar than I had ever had before. I had a few lows while teaching, and my vision would get blurry. I ate sugar from my briefcase, and apologize to my students. I did not want to have the reputation of a teacher whose performance in the classroom was hindered by diabetes. I never missed a class meeting during my 34 years of teaching because of my diabetes. I will always be proud of that fact. I also attended every class meeting when I was a college student except for one day in graduate school. I was too weak and sick with the flu to climb to the fourth floor where my classes were held. There were no elevators. I had hypos at night after using the new insulins, and Anita had to bring me out of those hypos many times. I wished so often that I could go back to the beef/pork insulins. I rarely had hypos with the older insulins, but I had so much high blood sugar then. I still did not know about carb counting in the 1970's. Dr. B. insisted that I stick with the newer insulins. In the late 1980's I learned about carb counting, and I bought my first glucometer. I had a high blood sugar reading almost every time I used that contraption. I did not like it! All those highs could not be correct! I wanted to throw it away. Anita convinced me to stick with it. I soon realized that the highs were indeed correct, and I had to adjust to that fact. I had always felt normal and good with high blood sugar. That was my perpetual state of being from 1945 until the early 1980's. I soon saw that many of the hypos I had been having occurred when I was in the low 100's. Those are now called false hypos, but they sure felt real to me. It took me a long time to adjust to using carb counting to control my blood sugar more effectively. I started feeling comfortable with my blood sugar in the low 100's and even in the 90's. Carb counting had turned my life around. I had lots of hypos, but they were no longer false hypos, and I had highs too. I knew I was experiencing much better control than I had ever seen before. Dr. B. was my guide through all these changes. I feel that he is largely responsible for me being alive today. The picture shows our sons, David and Gary, soon after we had moved to New York, in 1970.